China has for the first time named a senior air force officer to head a military theatre command, signalling the air force's growing strategic importance in the People's Liberation Army. 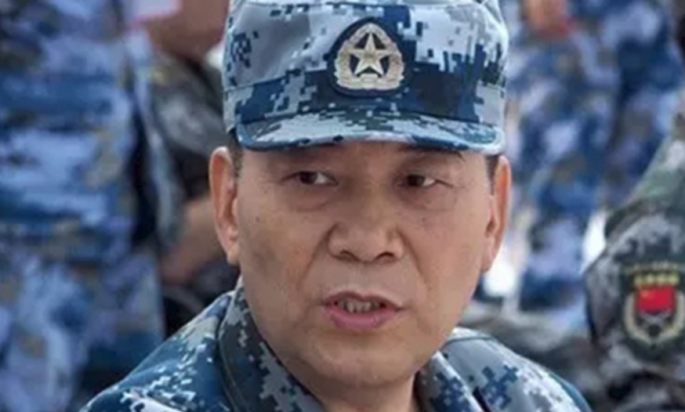 General Yi Xiaoguang, a versatile pilot and former deputy chief of general staff of the now defunct General Staff Department, will take over the Central Theatre Command, according to a news website operated by a district government in Beijing. The Central Theatre Command is responsible for safeguarding the Chinese capital and providing support to the four other war zones. Yi was transferred to the command in October but the website's report on Thursday is the first official confirmation of his title. Yi attended a seminar on the integration of civilian and military technology as the head of the command last week, the report said. His appointment is seen as an attempt to give the air force and navy a bigger presence at the top of the army-dominated military as it undergoes a massive modernisation programme to ensure troops are combat-ready, better trained and integrated. The appointment also comes as the air force shows a greater capacity to fend off threats, with announcements last week that its J-20 stealth fighter was combat-ready and it had sent Su-35 jets for drills over the South China Sea. As part of the military overhaul, the PLA's former seven military regions were restructured into five theatre commands. Army personnel had traditionally headed each region but that run was broken in January last year when navy Vice-Admiral Yuan Yubai was named chief of the Southern Theatre Command. Retired senior colonel Li Jie said Yi's appointment was a break with the past. "The most notable aspect of this personnel appointment is Yi is the first air force general to take a leading position in one of China's theatre commands. It breaks the tradition that most of the senior positions in the Chinese military are from the army," Li said. "We can expect more appointments like Yi's in the future. Maybe we can see more people rising from the navy or even the rocket force." Yi, born in 1958, joined the air force at 15 and is the son and grandson of military veterans of the war of resistance against Japan and the Chinese civil war. He has flown a range of aircraft, including MiG-15, J-6, J-7, Su-27 and Su-30 jets, and has authored a number of books on stealth aircraft and armed helicopters. He has also frequently represented the Chinese military abroad. He was part of a delegation that visited the United States in May 2014, and he took part in the first joint military exercises between China and Russia in 2005. He was also the senior officer in charge of the first military exercises between China and Malaysia in 2015. The military's deployment has risen as Beijing has become more assertive in defending its territorial claims. Last year, H-6K bombers took off from an airbase in Shaanxi province before flying over the Miyako Strait and Bashi Channel - choke points in the "first island chain". Shaanxi is part of the Central Theatre Command. A Beijing-based military observer said the head of the Central Theatre Command had become a more important position as greater stress had been put on joint operations between forces. "The position is a stepping stone for Yi to a more senior post in the military," the source said.